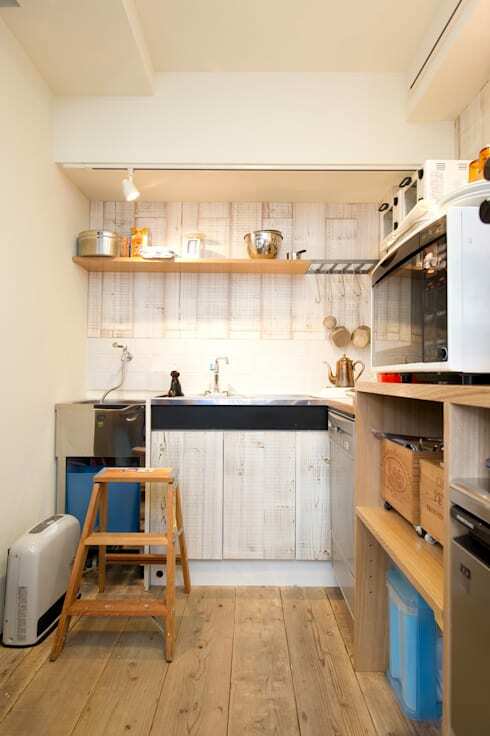 Here on homify we are just full of surprises when it comes to renovations. Old terraces get spruced up to become part of the kitchen, while guest bathrooms undergo a few touch-ups (okay, make that some major touch-ups) to become stylish nurseries. 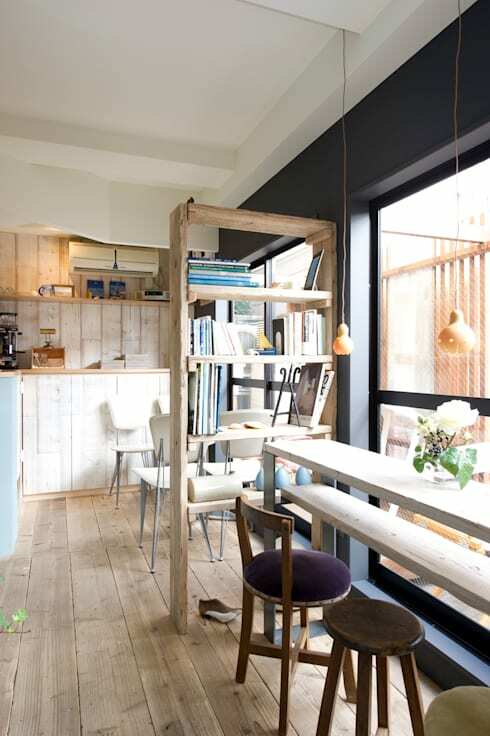 Today’s homify 360° piece is also a makeover, yet this is really something else: a couple in a three-storey home that decided to revamp the entire first floor into a stylish little café! Talk about a major transformation, but that is exactly what transpired here, thanks to some ingenious professionals who showed us what they are capable of. The front entrance to the (now new) café just looks so cute and clever – there’s a little post box (probably for customer comments), some potted plants for fresh touches, and even a sandwich board on which the daily special can be advertised! A wooden pergola/wall structure also guides our attention to where we need to enter – so, let’s do. Generous-size windows allow for maximum natural light to flow indoors – after all, who wants to enjoy cappuccino in a gloomy corner? Because the legroom is quite limited, some clever layout planning had to occur for the furniture, which is why a bookcase was inserted to visually separate the seating spaces. Now you have a choice of either taking a seat at the timber bench, or moving your slightly larger party to the dining table and –chairs in the light-filled corner. Turn a sharp corner and you walk right into the quaint little kitchen, where a myriad of coffees, sandwiches, snacks, shakes and other delightful little menu goodies are prepared on a daily basis. 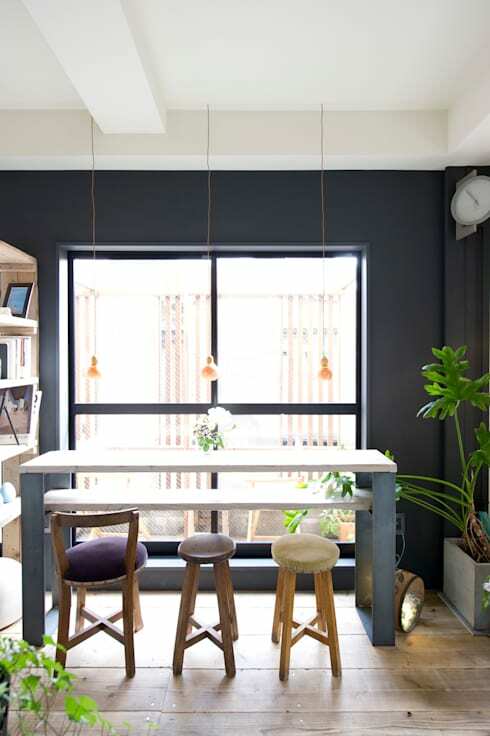 Before the renovation, this space was actually a home office, which means some work had to be completed – not only to include the necessary appliances, but also to upgrade the look of the space. A small area was closed off to become a little W/C unit. And just check out the clever design details that add visual space: vertical planks draw our attention upwards, while diagonal tile lines go a long way (pun intended) to make the floor look longer than it actually is. 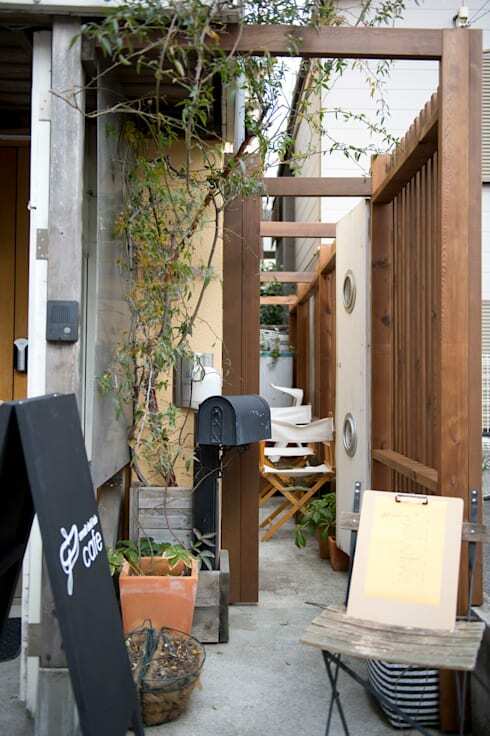 We just had to take a more detailed look at that cute wooden bench which offers customers a courtyard view while they sip on coffee. 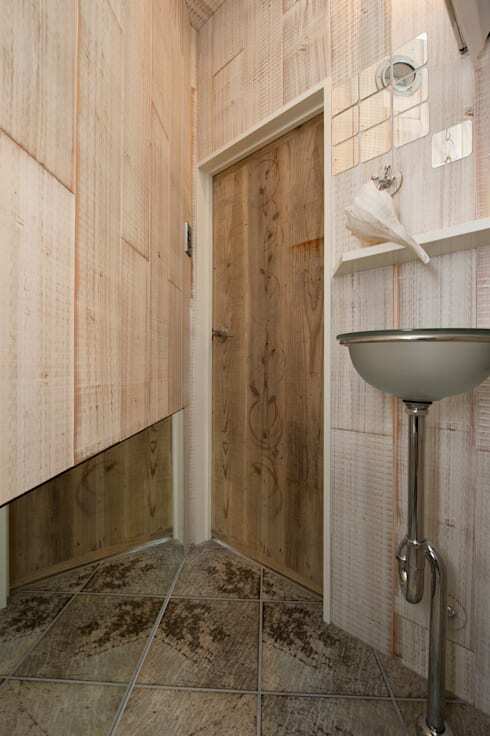 No prizes for guessing that wood is the star player here, and it shows up in a beautiful range of neutral colours too: sandy hues, crisp white and dusty beige. A thunderstorm-blue was added to the wall and table chairs to complete the colour palette. Our favourite pieces in here? It has to be a tie between the lush potted plants that display their fresh greens with so much pride, and the eye-catching industrial-style lights dangling above the table. Which do you prefer? For more cute and clever creations, feast your eyes on: The simple but beautiful modular home (with plans! ).